Celebrity Cruises’ introduction of a new Suite Class is further evidence that the much-derided class divisions so familiar from the days of travel by liner are actually the way forward. To satisfy passengers prepared to pay more for added comfort and extra facilities, Norwegian Cruise Line has its Haven Suites and the concept will be expanded further on its next ship, Norwegian Escape. Rooms for the privileged few surround a secluded pool, and guests have their own bar and restaurant, as well as reserved areas of sun deck on newest trio Epic, Breakaway and Getaway, as well as the older Gem, Jade, Jewel and Pearl. The Yacht Club on MSC’s newer ships is another gated community, with access restricted to passengers with the appropriate key card. And, of course, Cunard has two levels of extra service with Princess Grill and Queens Grill passengers eating in their own separate restaurants, and sharing a Grills Lounge bar and private sun deck. 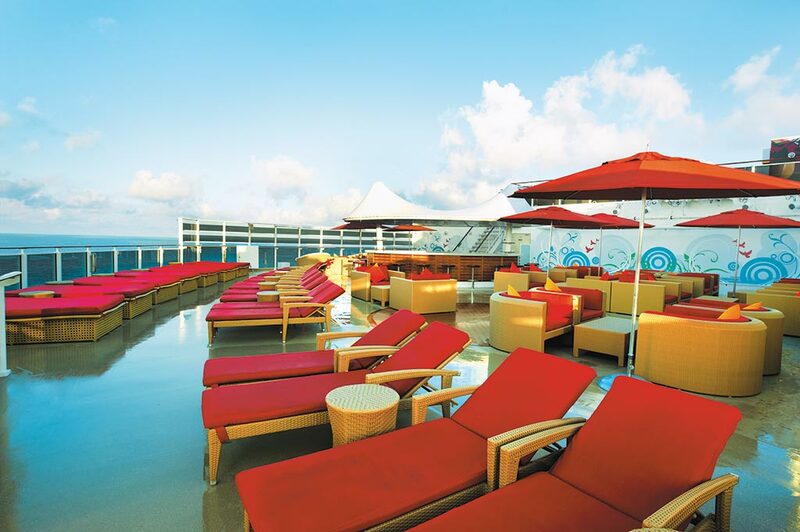 Although Celebrity’s plans do not amount to the ship-within-a-ship facility on Norwegian and MSC, they include turning over its Michael’s Club bars into a private lounge for passengers travelling in suites. They will also be provided with a private restaurant available for breakfast, lunch and dinner, and I am promised this will be a new venue rather than the conversion of an existing one. The line is also teaming up with chef James Beard to devise Suite Class menus, which will not be available elsewhere on board, along with a cellar of 450 wines. Other all-included benefits include premium alcoholic drinks, privileged access to the other specialist restaurants, reserved theatre seating and unlimited Internet access. Suite guests also get priority at check-in and embarkation, 24-hour butler service, afternoon tea – served en suite if requested – and Bvlgari toiletries. Incidentally, in case anyone is wondering, Michael’s Bar – which, I understand, has been under-used since smoking was banned – is not named after Celebrity president Michael Bayley, unlike the popular O’Sheehan’s pubs on Norwegian that take their name from chief executive Kevin Sheehan. Having been introduced on Epic, they have been successful on Getaway and Breakaway and will now be retro-fitted to offer beer, fish and chips, and chicken pie on older ships. But it set me to thinking what other cruise line executives could lend their names to suitable onboard venues. Samuel Cunard gave his name to the company that still carries it proudly; Swan Hellenic takes its name from the family of travel agents that began a company providing cruises to the Greek islands. The options for Carnival Corporation boss Micky Arison are a bit limited because Disney Cruise Line has its own famous Micky, who might not take kindly to being usurped. P&O already has Anderson’s and Brodie’s bars in recognition of Arthur Anderson and Brodie McGie Wilcox, founders of the Peninsular Steam Navigation Company. But what about today? Is there, perhaps, room for a Dingle Dell quiet area, or a nightclub called The Edge? We should ask Carnival UK boss David Dingle and P&O marketing director Christopher Edgington. Taking it the other way, Royal Caribbean International boss Richard Fain should think about changing his name to “Ripcord” after the sky-diving simulators being fitted to Anthem and Quantum of the Seas – which is, after all, named after the company’s head of PR, Tracy Quan (OK, perhaps not). Spare a thought, though, for Celebrity UK’s Jo Rzymowska. She’ll be lucky to get Alphabetti Spaghetti on the menu on her ships. There must be more – let me know which ones you would like to see.